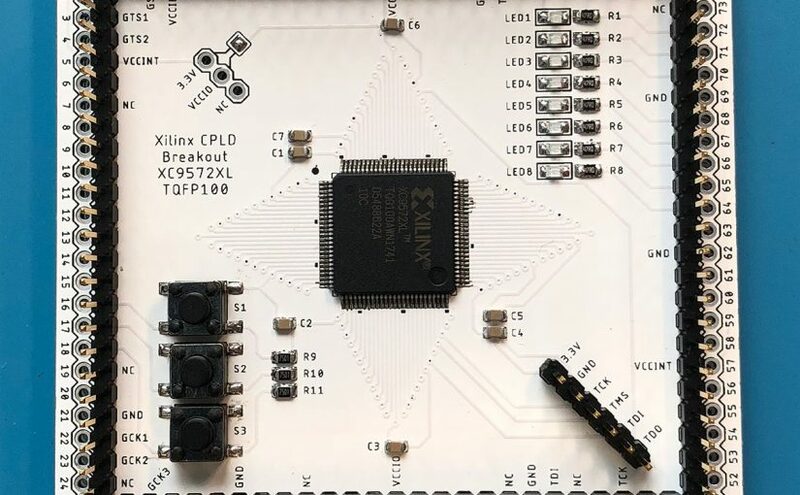 In this post I’ll be covering the process of getting the brains of my custom cartridge working; a Xilinx XC9572XL CPLD. Hang on to your hats. First, let’s briefly talk about what a CPLD is. This chip is similar to an FPGA in that it provides the ability to reprogram its hardware, rather than running software. Unlike an FPGA, it has non-volatile memory, so the configuration will stay in the chip even after power is lost. The trade-off is that the amount of logic units is orders of magnitude smaller than an FPGA. Fortunately, this project is relatively simple, so I have no doubt it will fit within the limits of the chip. Unfortunately, I’ve never used a CPLD and my only experience with FPGAs was an intro logic class 7 years ago. For this project we’ll be using the stable, light-weight, robust, intuitive and frequently updated software provided by Xilinx called Webpack ISE. What’s that? It’s a 6.5GB download split over four files? It requires an account to download a license? It’s laggy and confusing and was discontinued in 2013? Well hey, at least it’s free (and runs on Linux in addition to Windows). 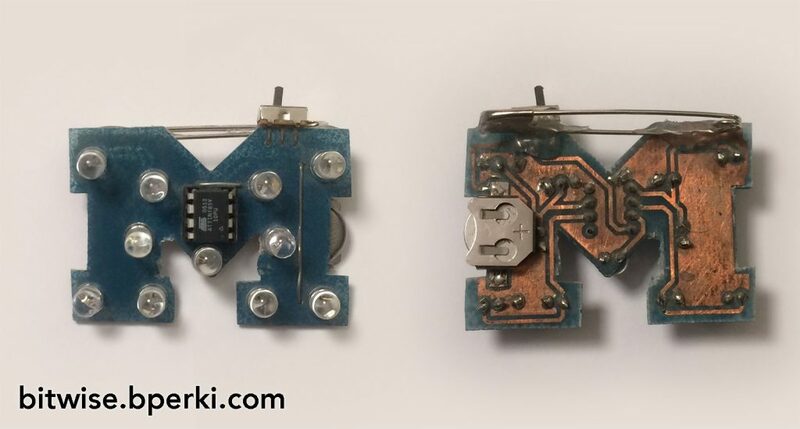 In my previous post, I talked about the motivation behind my updated “Block M” LED pin and compared it to the previous iterations to show how far it’s progressed since I designed the first one nearly 10 years ago. Today I’m going to wrap up by going over the electronics, code and power optimizations. I just recently bought a new gaming console. 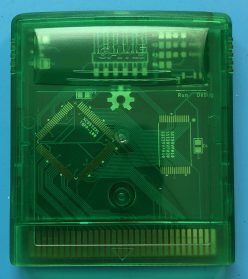 It plays at a constant 60fps, is capable of display 8000x more colors than the previous generation console, has dynamic CPU speed control and runs on normal AA batteries.